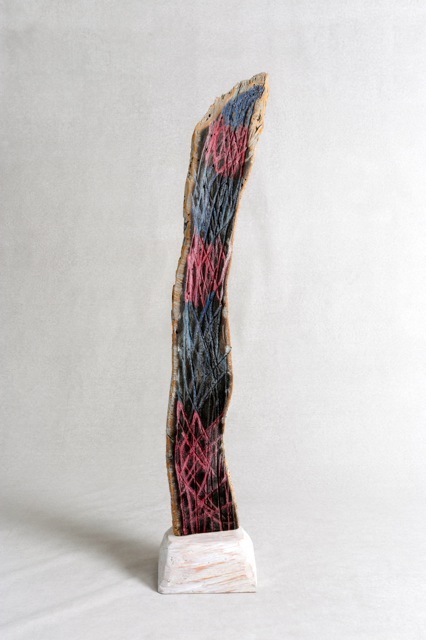 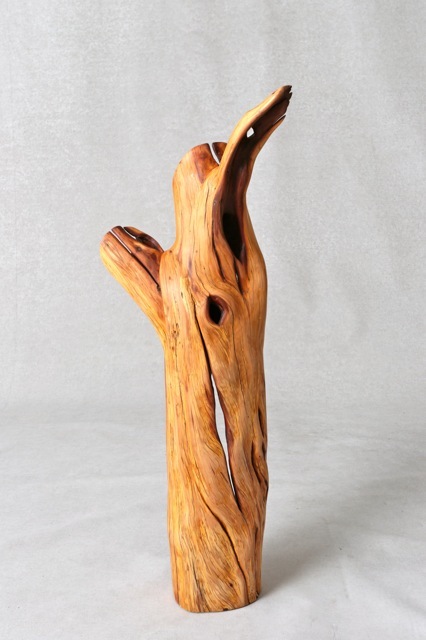 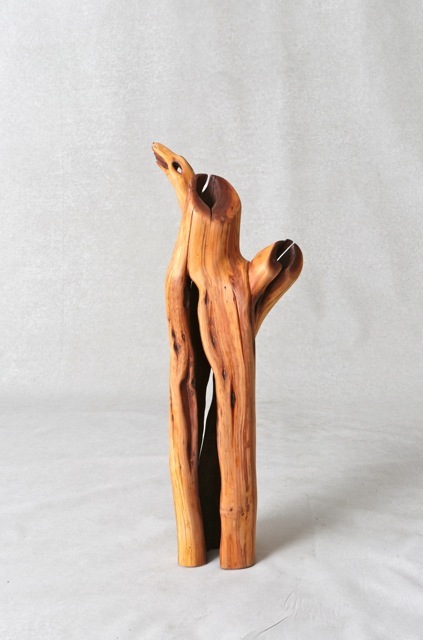 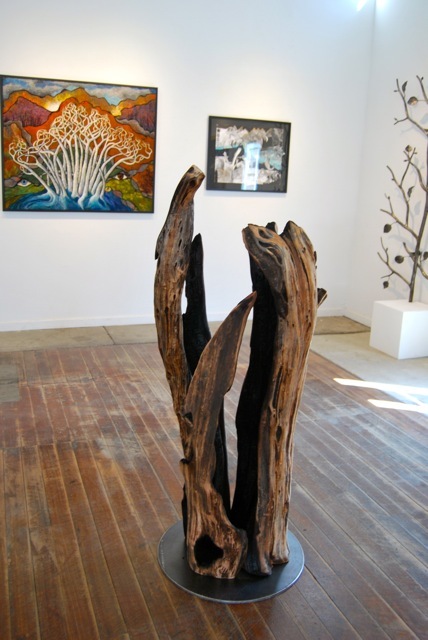 The theme of my sculptural work is to honor the sacred relationship between humans and nature. 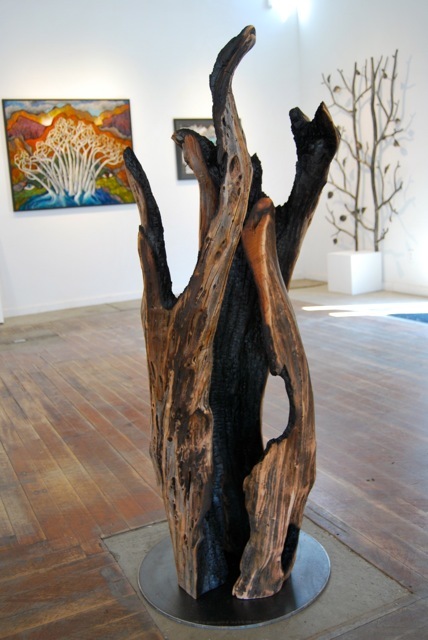 During meditation walks through nature and forests I gather fallen trees or objects from nature that inspire me to create art. 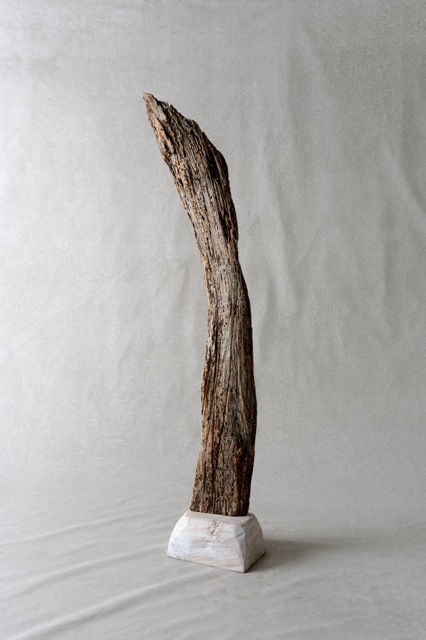 These 'found objects' are recycled and brought back to life to act as guides for a realignment with the natural world. 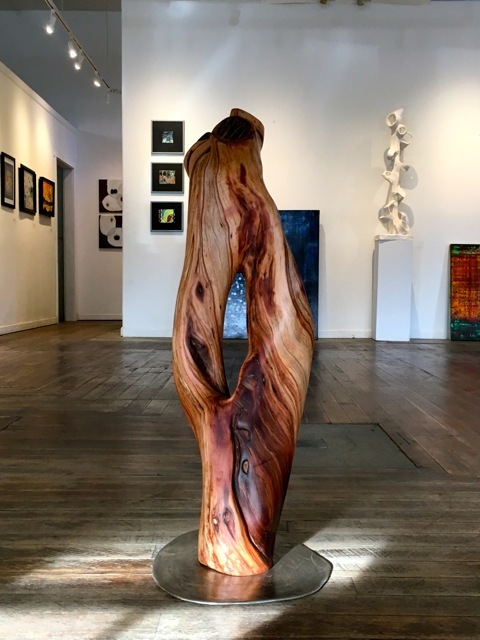 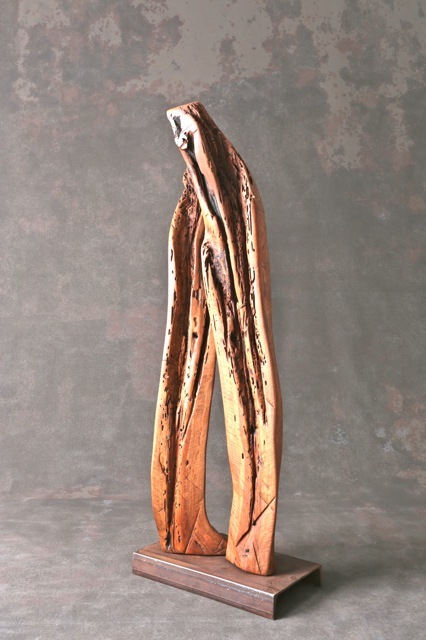 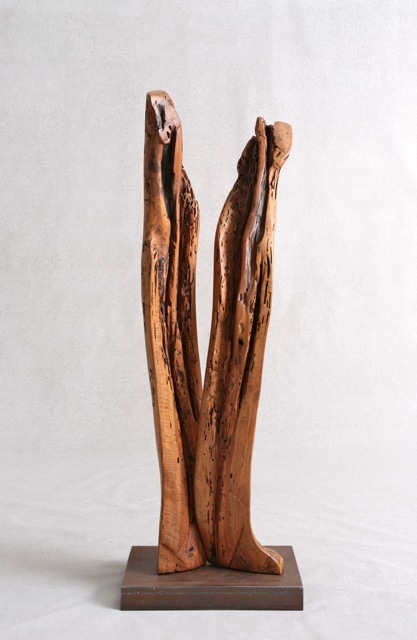 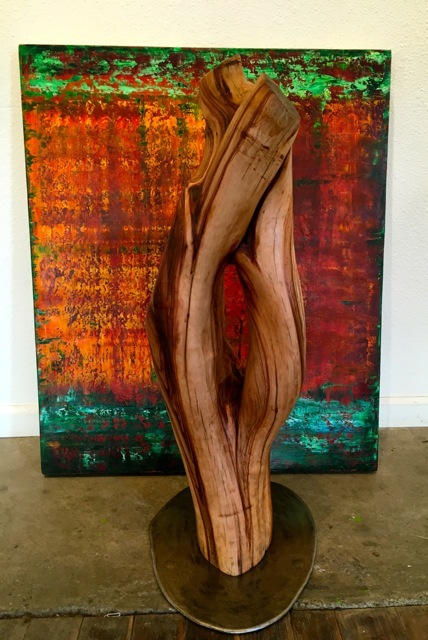 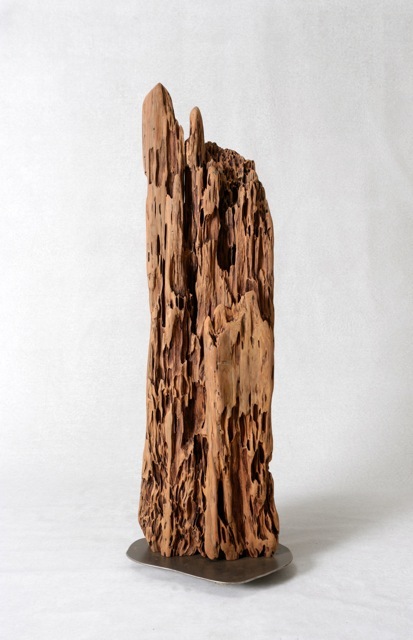 Whether in single standing forms hewn from fallen trees of oak, ash, walnut or manzanita, or larger installations as the series Circle of Elders and Circle of Fire, the primal essence, or soul, within each sculpture and art piece is carefully revealed. 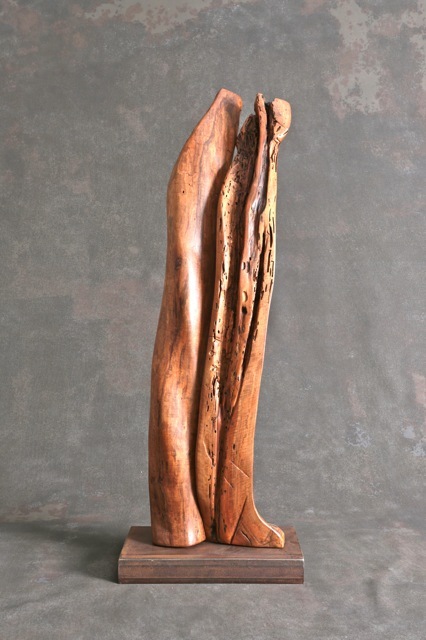 My work aims to bring ourselves and the world back into balance through the healing power of art and nature, and once they are brought into galleries, homes and urban spaces they inspire a deeper connection and sacred alignment with the natural world. 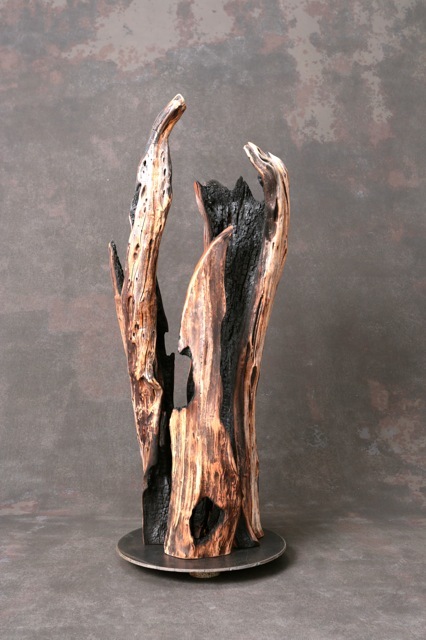 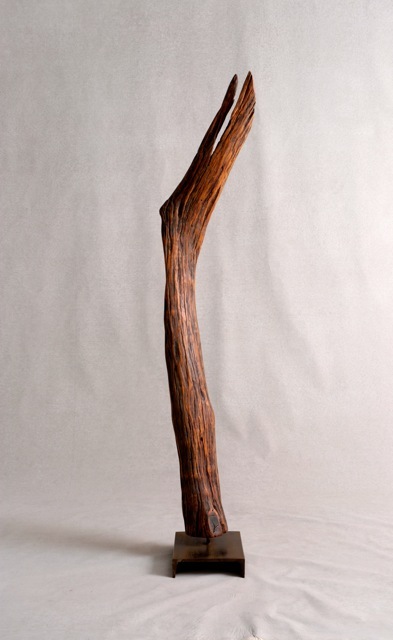 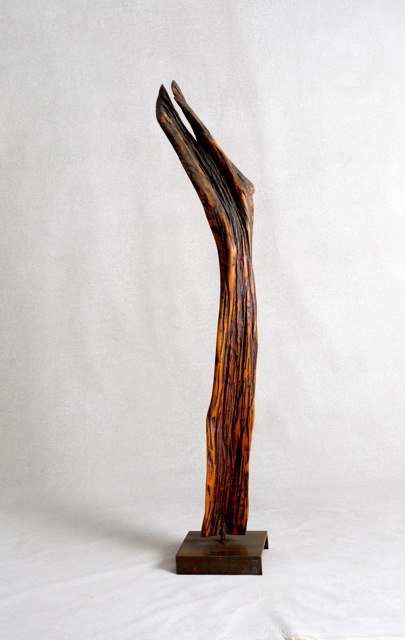 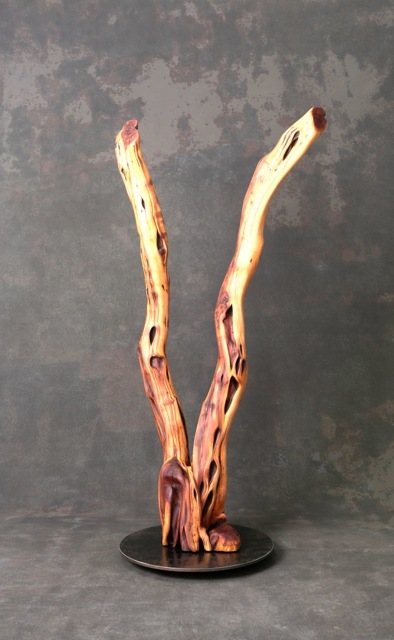 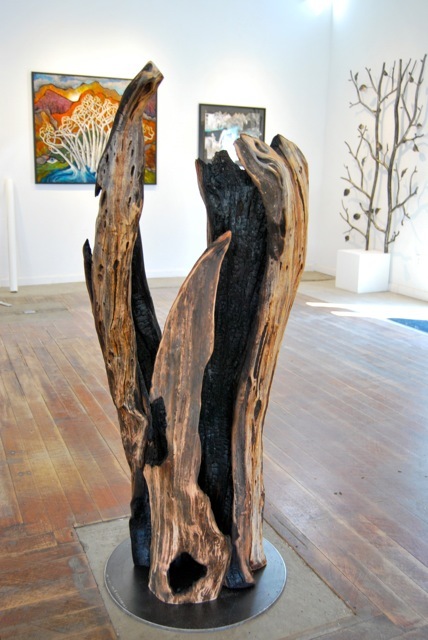 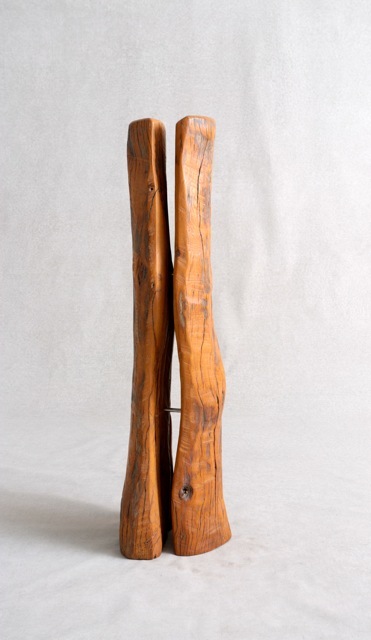 burned manzanita / metal plate / height 1.4m / 4'5" / diameter 0.5m / 1'6"
black walnut / steel beam / height 1.53m / 5'3"